You are here: Home / featured post / What is Google’s ChromeOS and Chromebooks? What is Google’s ChromeOS and Chromebooks? All laptops need an operating system (OS). Popular OS’s are Microsoft Windows, Linux and Apple’s OS-X. All computers need them, Google has recently developed a new one and it’s called Google ChromeOS. They have started to allow hardware companies to put it on small, portable computers – and it is starting to become very popular. How is the Google ChromeOS and Chromebooks the same as other computers? Most people would not notice a difference between Google ChomeOS and Microsoft Windows. There are still browsers to get to the internet. Most computers that run the ChromeOS are laptops with wireless and bluetooth devices connected. Everything works very much the same. You still can read eamil, go to Facebook and watch videos on YouTube, Netflix and Amazon. How is the Google ChromeOS and Chromebooks different? Unlike its counterparts from Microsoft, Apple and Linux, chrome book stores virtually everything on the cloud using the new cloud computing technology. This means that all documents and files are securely stored and can be easily retrieved any time by a click of button and from any computer that is connected to the internet. Additionally, all applications run from the chrome browser hence just a few skills are needed to navigate Chrome book. 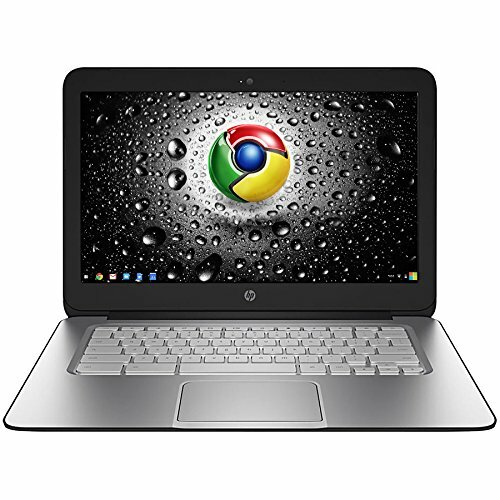 If looking to switch to Chrome book, one only needs a few applications and an internet connection and with a few steps to follow, one can begin using the chrome operating system. Switching from windows or mac or Linux to chrome book is however not a very comfortable experience owing to some few changes in the chrome book which may be alien to the users of other systems. Chrome operating system does not run on normal personal computers. This therefore means that one should purchase a cheap chrome book which should be able to run the chrome operating system. When this is done, then next easy stem is to simply create a Google account. This is because all applications in chrome book run on chrome browser only including the few offline ones. Most people today use Gmail as their email provider hence do not need to create another Google account. If one does not have a Google account, they should simply sign up for one by following the simple steps provided by Google. With that account, one should simply sign in to their account and they are ready to begin using the chrome operating system. The chrome interface is very easy to use with a start button at the bottom left corner. On click, one can easily see their applications and even pin them to tool bar just like in the windows platform. The simplicity in the chrome operating system supersedes that in windows by far such that as long as one has the knowledge to use a browser, they can easily operate the chrome book. The one main hustle for a person switching from windows or mac to chrome book is the keyboard. A few of the functionalities in the prior operating systems have been altered in the latter chrome book system. The caps on key, for instance has been replaced by a search key in chrome book. The caps on functionality can however be achieved by pressing the alt key together with the search key. Additionally, there are no special keys on the chrome book keyboard apart from the alt key and the ctrl key which is unlike the windows which has a windows key, a function key and other keys such us page up key, page down key, home key , end key and many others. Essentially, since most of the applications run on chrome browser, all the missing keys are actually not needed when using chrome book. Just like the all-time play store in android operating system, all applications that one may need while using chrome book are stored in the chrome store. The store is populated with all sorts of applications which are available for all users of chrome book. This is a bit different for windows users but it is not a hard concept to grasp. Chrome book allows the use of shortcuts just like in windows and mac operating system. However, since all applications run on chrome browser, then anything that a user saves gets saved in the download folder just like when browsing. In conclusion, switching from the native systems to Google’s chrome book is not such a hustle and the only main difference is with the keyboard. With just a cheap chrome book machine and a Google account, one can easily run and explore the robust, easy to use and secure chrome book. https://tomaltman.com/wp-content/uploads/2016/04/hp-chromebook-14.jpg 500 500 tom /wp-content/uploads/2015/03/logo_tom_altman_small.png tom2017-10-22 21:39:042017-11-22 22:31:30What is Google's ChromeOS and Chromebooks?